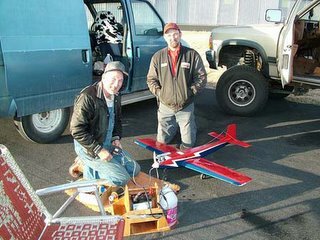 Benny and Alvin Byers from Spearman, Texas flying an excellent plane, the Kaos! Robert Reed of Spearman, Texas. Robert Reed and his homebuilt airplane. Jim and Joyce (Jo) Louvier.